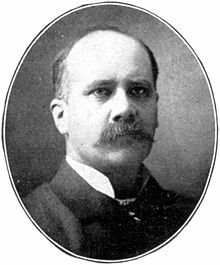 Charles Monroe Sheldon was born on February 26, 1857, at Wellsville, New York. His father was a minister, and the family moved frequently until, in 1869, they homesteaded a frontier tract and lived in a log cabin in the Dakota Territory for several years. Sheldon went to school at Phillips Academy, Brown University, and Andover Theological Seminary, completing his theological degree in 1886. He then accepted a pastorate in the Congregational Church at Waterbury, Vermont, but stayed only two years, since he desired a new church he could help direct from the beginning. He got his wish when he was called to the pastorate of the newly founded Central Congregational Church in Topeka, Kansas, where he took up duties in 1889. Sheldon quickly exhibited a flair for unusual projects. Shortly after his arrival in Topeka, in the middle of an economic depression, he wanted to understand how the unemployed felt, so he donned old clothes and applied for work at nearly every store in town, only to be turned down every time. He also noted that a colony of impoverished former slaves had become established very near his church, and he spurred Topekans to undertake relief projects for these unfortunate souls. Thus was founded the first kindergarten for African American children west of the Mississippi River. The Village Improvement Society helped residents to improve their homes, and jobs were located for many who had been unemployed. Sheldon's vision of race relations and justice for minorities was far ahead of its time. After a year or so in Topeka, Sheldon became displeased that the audiences at his Sunday evening services were not nearly as large as those at the morning services. Looking for ways to get more people out, he hit upon the idea of reading "sermon stories"--serial stories in which each installment ended at a tense moment in the narrative. (In one early story, for example, the hero was at the bottom of a mine shaft with water pouring in as the first episode ended.) People wanted to come back to find out what happened next, and within three weeks Sheldon's church was overflowing on Sunday evenings. In the fall of 1896 the sermon story was entitled "In His Steps." It was a tale of a group of committed Christians who resolved to ask themselves whenever they had hard decisions to make, "What would Jesus do"" Their dedication led them to avoid the easy choices, instead opting for difficult but spiritually rewarding projects in service of others. The story was a big hit when it was first read in Topeka, and it quickly gained a national audience through its publication as a serial story in a religious magazine that winter. In 1897 it was issued in book form, and sales were large from the beginning. Sheldon pursued many reform projects for the rest of his life. Among them were prison reform, the upgrading of police departments, the improvement of schools, and providing people with what he considered moral entertainment. Two projects stand out above the others, however. The first was prohibition. Sheldon from childhood had opposed the use of alcohol, and for decades he worked tirelessly for national prohibition, taking great joy in its enactment in 1918. He did not confine his efforts to the United States, but toured the world, applying his great fame as an author to the cause of enacting prohibition elsewhere. The second great cause he espoused was world peace; even during World War II he wore the unpopular label of pacifist cheerfully. Again he took to the road, speaking out for the cause of peace, and at one point erected highway billboards urging the nation to disarm. Sheldon's most important contribution to his causes was not theory, but popularization. He had a knack for easy-to-read writing, and in his time he was one of the world's most widely read authors. Nearly a century later In His Steps still sells thousands of copies a year, evidence that Sheldon's influence is still alive. Christians familiar with the acronym WWJD (what would Jesus do?) will find the genesis of the WWJD movement in the pages of In His Steps. Written by the 19th century pastor, theologian, author, and forerunner of the social gospel movement Charles Sheldon, In His Steps tells the story of Christians who challenge themselves to live as Christ would for a year. Although the book was originally published in 1896, modern readers will find themes that resonate with the current religious and political atmosphere. What does it mean to be a Christian and a citizen? 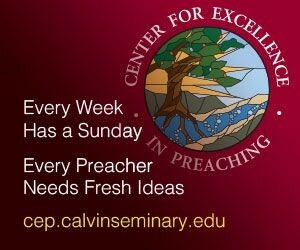 Does the church reflect the teachings of Christ in daily life or are Sunday sermons and hymns merely virtuous platitudes? Follow the lives of seven Christians as they wrestle with the practical implications of living the gospel in Sheldon’s classic In His Steps.